The quilt pattern directions call for about 4 yards of fabric. Hi, I would like to buy 2 and 2/4 yards of red fabric, and 1 and 1/4 of blue fabric please! 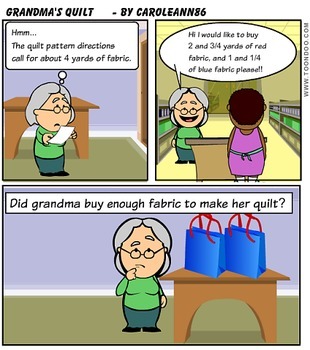 Did grandma buy enough fabric to make her quilt?